Solar Path believes the most important investments are our homes and businesses. See how we've helped customers go green by installing solar in these various different installation conditions. Regardless of the installation type, any project can make a lasting impact both financially and personally. 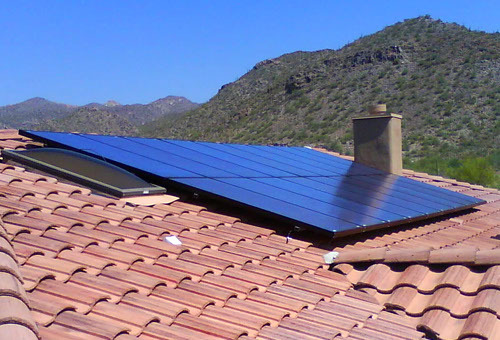 ​ Solar Path worked closely with this client's Home Owner's Association and carefully designed the system to be as hidden as possible while still maximizing the efficiency of the system. The installation, while complex, was completed in a short period of time; minimizing the impact on the home owner and the neighborhood. 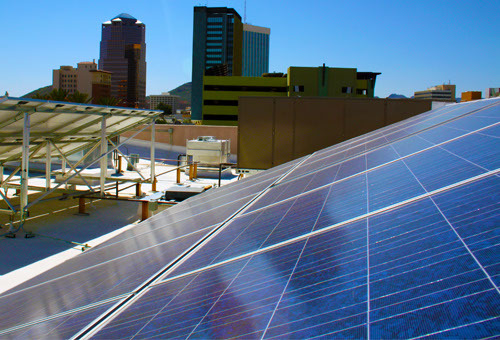 ​ Tucson business makes investment in building to reduce electric bill and save thousands of dollars over the next 20+ years. 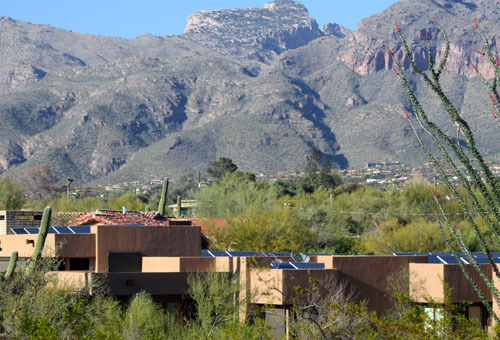 ​ Solar Path is located in the beautiful offices of Oracle Studios in Oro Valley, Arizona. The building was designed by Kevin B. Howard Architects, Inc. in 2008. 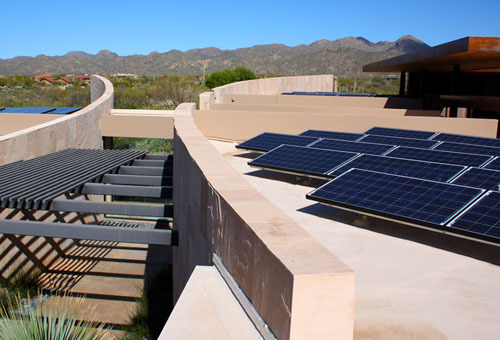 The building's design is an example of efficient use of the abundant sun light found in the Sonoran desert. 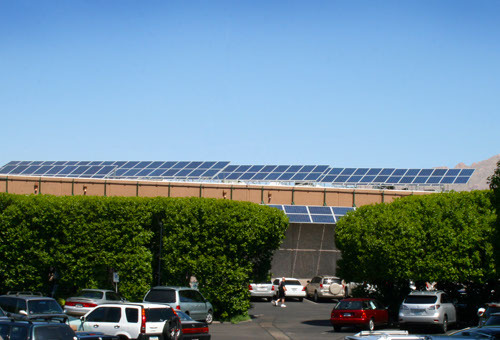 Solar Path installed a photovoltaic array large enough to cover the building's electrical demands. The south-facing, standing seam metal roof provided an ideal location for the panels with little additional structural attachments required. 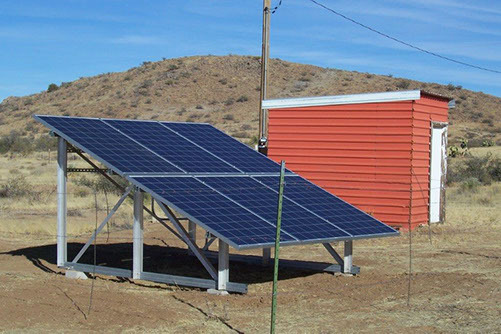 The inverters are located on the roof under a shaded cover to limit long term weather exposure. ​ This customer is estimated to save at least $482,000 over the next 20 years. Combination rooftop and ground-mounted system completed in 2011. ​ This solar phototvoltaic (PV) system was carefully constructed with a screening wall so that the system is not seen from inside the home. Ground mounted project completed in 2010. ​ Aesthetics were most important for this customer who's home was in the process of being built at the time of the system installation. 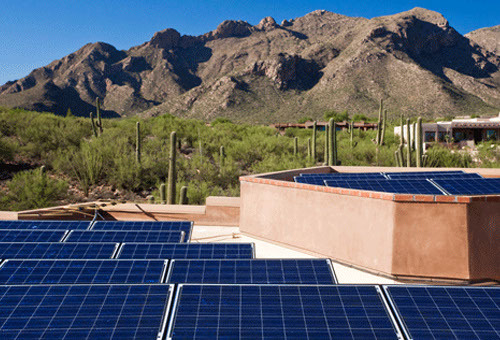 Solar Path worked closely with the home builder to ensure a seemly and flawless installation. 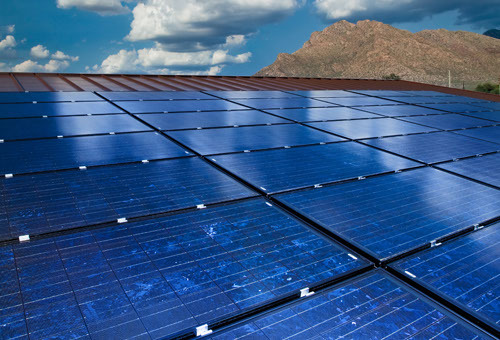 ​ Providing solar powered energy to White Stallion Ranch, one ofTucson's popular tourist destination for travelers from around the world. Custom parking structure project completed in October 2011. ​ Roof hooks are used in this tile roof installation. The serve as mounting equipment and also protect the roof. 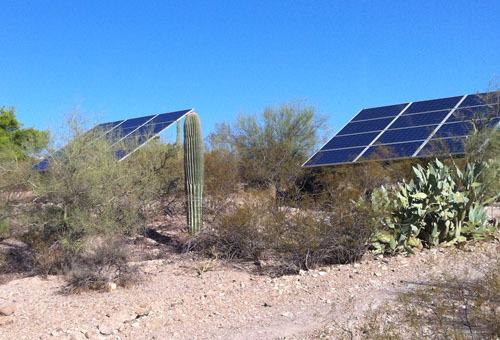 ​ A solar energy system should be installed where there is the most amount of exposure to direct sunlight. A residential rooftop is an ideal location. 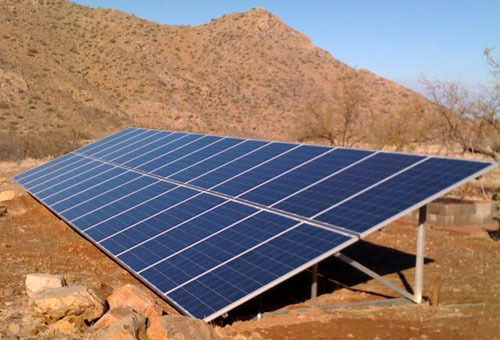 Solar Path installed this solar system in the Catalina foothills. This project required coordination of a very complex existing roof. The optimal location on the roof was selected to provided the least shadow obstruction and most southern exposure. 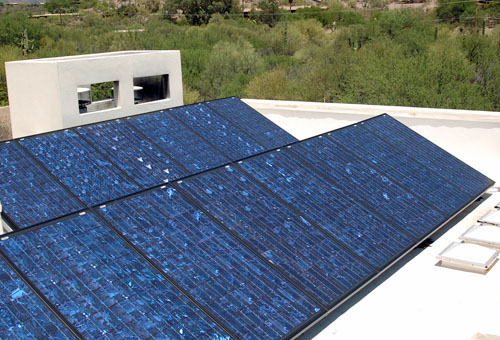 The panels are oriented vertical to maximize the amount of area dedicated to solar panels. The frames are built on Solar Path's custom support system. 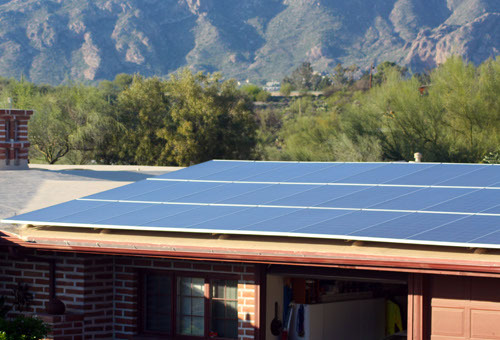 ​ This customer's home is more than 30 years old so they asked solar path's architects to help design a system knowing that their home would be in good hands. 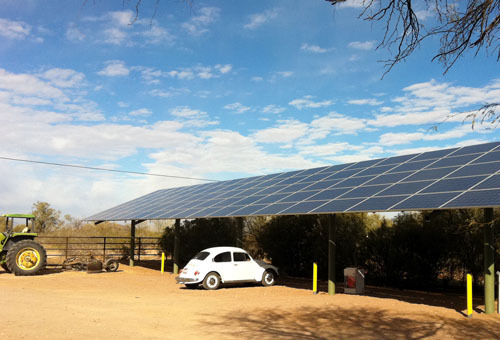 ​ The Solar Path team has completed the photovoltaic system for Tucson Racquet Club, located at 4001 N. Country Club Road. The Club is open 24 hours a day, and the electric bills reflected this high usage. 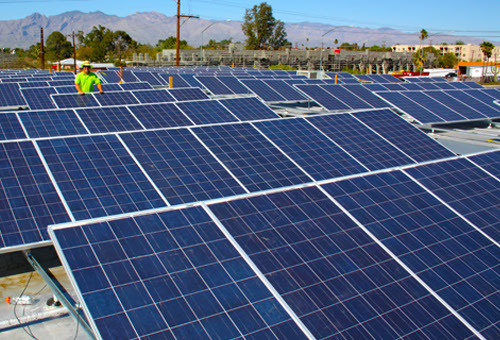 Using the sun to power a portion of the facility's electrical usage will save the club hundreds of thousands of dollars over the life of the system. 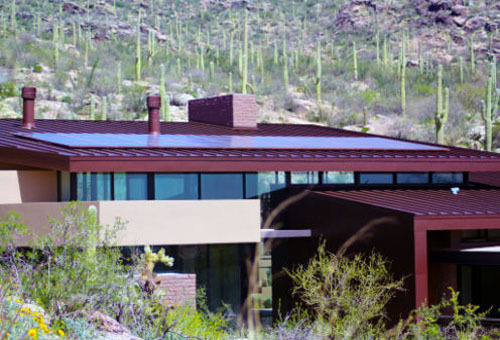 ​ This large home in the Catalina Foothills was an interesting design challenge as the rooftop consists of several different levels. 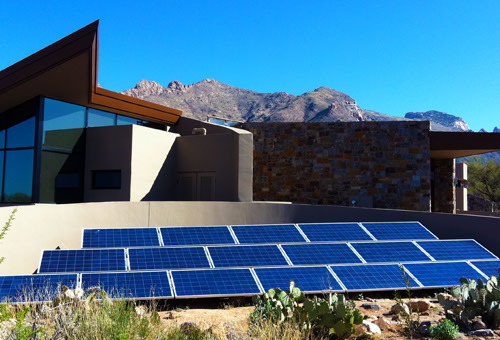 Solar Path was able to design a system that will cover close to 100% of this home owner's electric bill while still keeping the return on investment period to a minimum. ​ This customer chose to have Solar Path install this ground-mounted system away from the home and out of view. 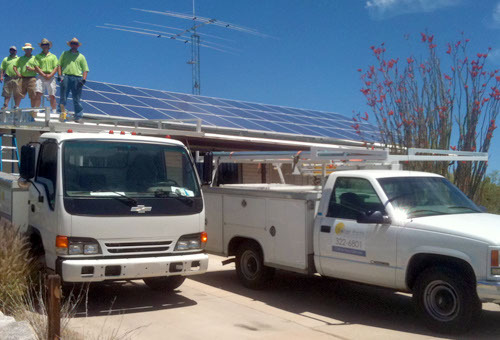 Solar Path worked with Trico Electric to help the homeowner receive their incentive check. 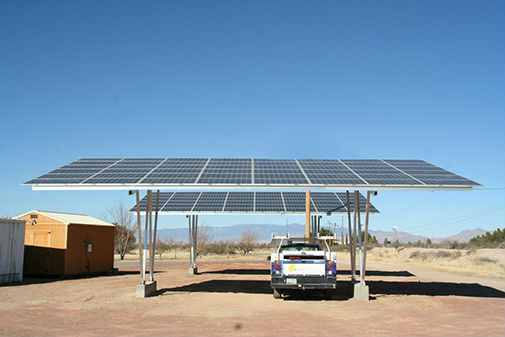 This customer chose to have Solar Path install this ground-mounted system that also acts as a parking shade for this ranch's equipment and vehicles. Ready to Get Started With Solar? Read about residential and home incentives, and commercial and business incentives. Solar Path is Your Partner in Going Green.